After visiting both RAF Drem and RAF East Fortune in Trail 42, we travel a few miles south, back to the A1 road where we visit another disused and almost lost RAF airfield. Initially used as a Landing Ground during the First World War, it struggled to become a fully fledged airfield but it did operate a small number of squadrons under RAF control. One of these squadrons had a rather sinister role to play and had Britain been invaded, then its name would no doubt be well-known and common place in history books today. In Trail 51, we continue on in the south-eastern region of Scotland, not far from the historic city of Edinburgh, where we visit the former airfield RAF Macmerry. RAF Macmerry (Tranent / Penston). 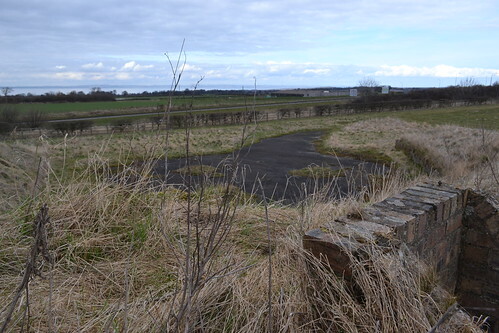 The former airfield at the small village of Macmerry is today split by the main A1 road, with the flying side of the airfield to the north and the technical and accommodation areas to the south. Sadly the active side has been completely removed and is now agricultural land, but on the technical and accommodation side there are fortunately still a small number of buildings remaining, albeit in private use today. RAF Macmerry is located some 14 miles east of Edinburgh, its origins extend back to the First World War when it was known as Penston. Used by No. 77 Squadron who were initially based at Edinburgh, it was a Home Defence Landing Ground housing a squadron detachment until the entire unit moved over in April / May 1918, when the Royal Flying Corps became established as the Royal Air Force. No. 77 Sqn were well-known in the area, having detachments based at nearby Turnhouse and also at New Haggerston and Whiteburn. The squadron had been based at Edinburgh since October 1916 after moving there from Thetford in Norfolk, shortly after their inception. During their time at Penston, No. 77 Sqn operated a number of Royal Aircraft Factory types: the BE.2c, BE.2d and BE.2e, the BE.12 and BE.12b along with the D.H. 6 and RE. 8. 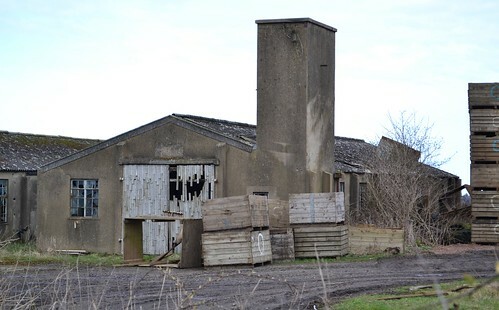 One of many buildings that remain on the farm today. Even though No. 77 Sqn moved into Penston full-time, they did retain a detachment at Whiteburn, an arrangement that continued until 13th June 1919, when the squadron (now Royal Air Force) was finally disbanded. No. 77 Squadron would go on to be reformed in 1937, just prior to the outbreak of the Second World War, but they would not return to their roots, and would never again appear at the airfield at Macmerry. After 77 Sqn’s departure from Penston, the RAF had no need for the site, and so the airfield was closed and the site sold off. The 1920s and 30s then saw a short reprieve for Macmerry as aviation became fashionable. The Edinburgh Flying Club established itself here, and the Scottish Motor Traction (SMT) organisation put forward plans for a new major airport here at Macmerry. Established in 1905, the SMT was an established bus company who also provided an air taxi service flying a De Havilland Fox Moth between 18th July and 31st October 1932. 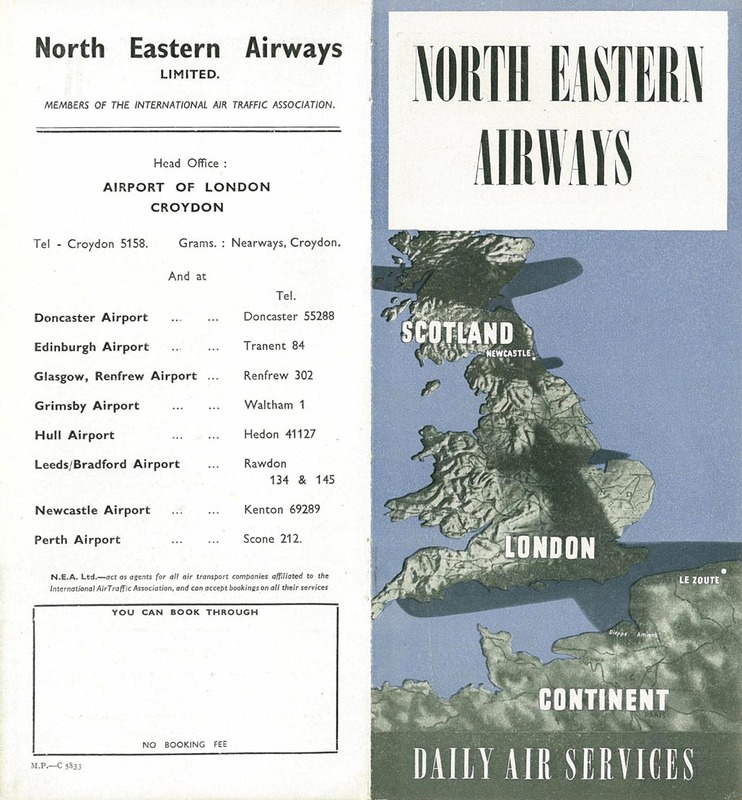 Although these ambitious development plans never came to fruition, Macmerry (referred to as Edinburgh) was used for a short period between 1936 and 1939 for commercial air travel by North Eastern Airways. After war broke out the RAF were looking to expand their airfields around the UK, and the border regions of Scotland were soon under the spotlight. The Air Ministry identified Macmerry and decided in July 1940, to rename Macmerry as Tranent after the nearby town. However, and even after the official requisition later on, this name change never appeared on any but a handful of official documents and the name Macmerry stuck. On September 2nd 1940, No. 263 Squadron moved into RAF Drem, located about 6 miles north-east of here, and used Macmerry as a satellite airfield, even though the RAF had not officially taken over the site. Regardless of this, the Westland Whirlwinds they were flying, did occasionally use the airfield along with another satellite at Prestwick way off to the west. In January 1941, Macmerry was officially requisitioned and would come under the control of 13 Group Fighter Command, with the first aircraft arriving very soon after. 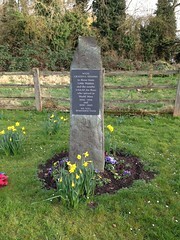 The Hurricane Mk.Is of 607 (County of Durham) Sqn would stop off here between January 16th and March 2nd 1941, before joining the main squadron also based at RAF Drem. No. 607 Sqn were veterans of the Battle of Britain, and would go on to be the first Squadron to operate the ‘Hurri’ bomber, a Hawker Hurricane fitted with bombs. As they departed Macmerry, a second unit arrived, No. 614 (County of Glamorgan) Squadron, who were a pre-war squadron and would operate Lysander Mk.II and Mk.IIIs before replacing these with Blenheim IVs in July 1941. After a short spell away at Thruxton, No. 614 Sqn returned to Macmerry for a few days before departing for the final time at the end of August 1942. Flying with the squadron code ‘LJ’, it was these Lysanders that had a rather sinister role to play, and one that was perhaps unique along this coastline of Scotland. First impressions of Macmerry were not positive for crews, a small hangar and a flying control building were about all that greeted the men. 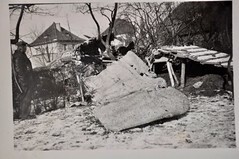 There were no accommodation facilities and airmen were billeted in the homes of local families. Runways at this time were grass (1 x 1,500 yards and 2 x 1,200 yards), whilst the perimeter track was tarmac, a feature that would not change for the duration of the war. By the summer months accommodation on the airfield was finally available (sufficient for around 1000 personnel of mixed rank and gender) and the whole of No. 614 Squadron moved into Macmerry. Work continued on the remainder of the airfield infrastructure, including six hardstands each holding two-twin engined aircraft in a ‘Blenheim’ style aircraft pen. Otherwise know as type ‘B’ (designed to drawing 7151/41) they had cranked sides and staggered entrances. Each of these had a shelter built into the revetment sufficient to hold 25 men. Eight Blister hangars and a T2 were also added at some point, along with a range of technical buildings. Working under the control of the Royal Air Force Army Co-operation Command, No. 614 Sqn’s Lysanders were to monitor and patrol Scotland’s east coast, and in the event of an invasion, they were to contaminate the beaches with Gas (possibly Mustard Gas even though this was banned in the 1925 Geneva Protocol) using the vast stocks they had at Macmerry airfield. A lethal substance, it was never thankfully used and was disposed of later on. Much of the information about this has only recently come to light, but according to Operational Record Books*3 gas attacks were something that were rehearsed on many occasions. Whilst No. 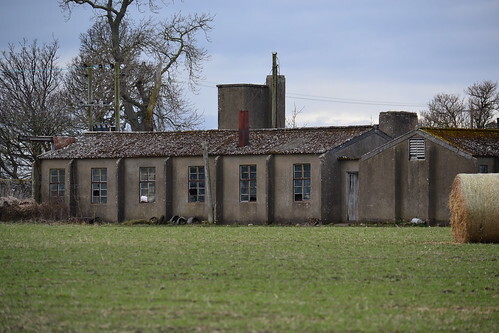 614 Sqn were based here at Macmerry, they performed regular operations with Army units, detachments from Macmerry flying to the Fleet Air Arm airfield at Arbroath where they would carry out photo reconnaissance, simulated dive bombing and these aforementioned gas laying operations. These operations (e.g. ‘FORFAR’, ‘HOPE’ and ‘JOHN’) were carried out in conjunction with various army divisions, with RAF support staff and equipment (including Bowsers) being taken by road to the detachment airfield. In many cases, the crews and ground staff from Macmerry would be housed in tents supplied by the various army brigades and they would be fed by the Royal Navy, something that the more senior officials within the RAF wanted to stop. During August 1941 a detachment of Tomahawk IIA aircraft were to join No. 614 Sqn here at Macmerry. These aircraft were operating with No. 241 Sqn, who were primarily based at RAF Wattisham, but had detachments already at Snailwell, Henlow and Docking and now at Macmerry. In March 1942 these Tomahawks were replaced by the North American P-51 Mustang Mk.I, an aircraft designed in response to the need for a long-range fighter with outstanding capabilities. Designed by a German born designer, Edgar Schmued, it would become one of, if not the, Second World War’s most successful fighters, especially after it had the Rolls Royce Merlin replace the weaker Allinson. 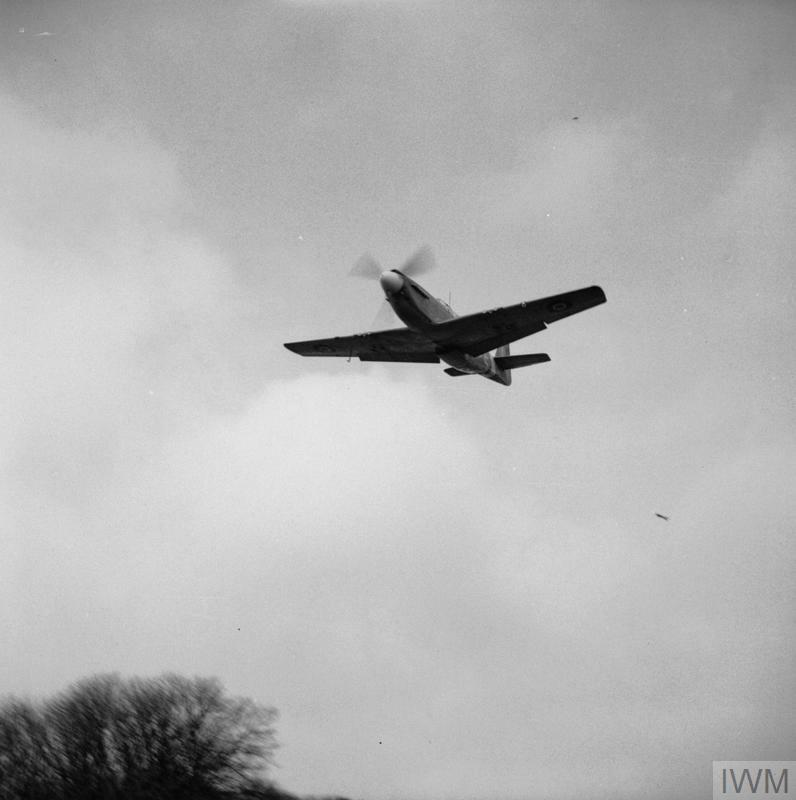 As well as an increase in top speed of around 50 mph, it out performed the Allinson in all other categories including rate of climb and performance at altitude. By May 1942, No. 241 Sqn and their new Mustangs would all depart Macmerry for pastures new at Ayr. However, and not before too long, 241 Sqn would return to this part of the country, spending a short time at RAF Winfield in the border regions working in cooperation with 4th Medium Regiment, Royal Artillery. It was during May that No. 225 Sqn moved to Thruxton whilst also having a detachment based here at Macmerry, and once again the Mustang Mk.I would be back in the skies over this small Scottish village. The entire squadron would move onto the airfield at the end of August and would stay until the end of October when they would depart for North Africa taking their Mustangs with them. 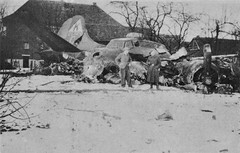 By late summer 1942, the accommodation, hangars and major facilities were all now complete and open, the site was now ‘modern’ and homely, engineer’s workshops, allowed for maintenance of the aircraft, and aircraft pens offered protection to both the airmen and aircraft in the case of Luftwaffe attack. 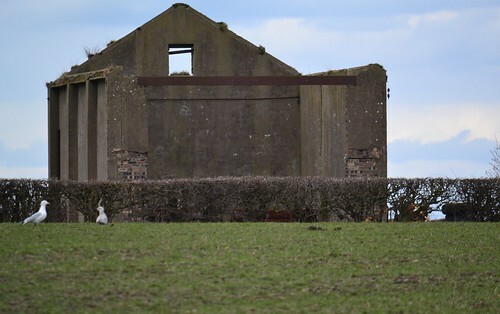 One of the ‘B’ type aircraft pens surviving at Macmerry today. The brick structure to the right is the entrance to the built-in shelter. By August 1942, No. 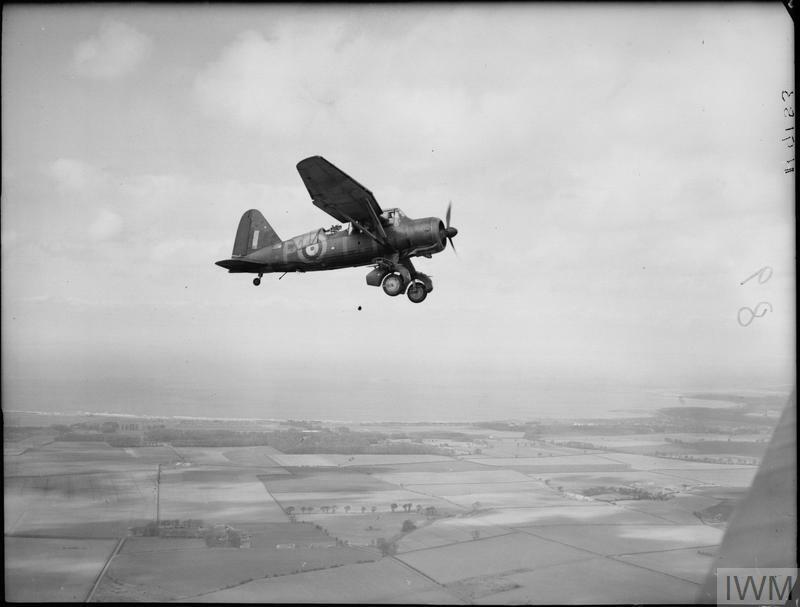 614 squadron were to pull out moving to RAF Odiham where they replaced their aircraft with Blenheim Vs. Their place at Macmerry being taken by No.13 Sqn flying Blenheim IVs. Their stay would, like many of their predecessors, be a short one, another ex Lysander user, they only stayed here for about 10 days before they too moved off to Odiham and onto North Africa. The November would then see the last operational flying until arrive at Macmerry, and they would be the longest-serving unit to stay here. At the end of November, on the 21st, No. 63 squadron would arrive bringing with them further Mustang Mk.Is. The main block of the squadron would operate from Macmerry whilst detachments would be placed across the length and breadth of the country at Lossiemouth, Odiham, Dalcross and Acklington. Many of the sorties flown by No. 63 sqn were photographic reconnaissance missions, using F.24 (8″) cameras installed on the port side of the fuselage directly behind the cockpit. Because of the open landscape and close proximity to the coast of the airfield, many sorties flown from here were hampered by high winds and the impending Scottish cold, something that brought discomfort to the may crews who were stationed here at some point. Originally reformed in the summer of 1942, No. 63 Sqn moved here from Catterick, and stayed until July 1943 when they departed to Turnhouse, leaving only a detachment here at Macmerry. In November, the entire squadron then moved off to Thruxton leaving the airfield at Macmerry behind for good. Other than a handful of Lysander target tugs and glider trainers, flying wise Macmerry would then fall quiet, the sound of aircraft engines being replaced by the thud of marching boots. During the winter of 1943, Operation ‘Fortitude North‘ was put into place, an operation to fool the Germans into thinking the impending invasion would occur across the North Sea. Macmerry would see a huge influx of army personnel, from No. 2736, No. 2830 and No. 2949 Regiment Squadrons, who would take to the mountains sending out false signals that would be picked up by German intelligence. These groups stayed here for a number of months until moved south for the real invasion across the English Channel. So successful was the operation that German forces failed to pull vital units away from the Norwegian coastal areas for fear of an impending Allied attack. Much of what is left is rundown but in use for storing farm machinery. In the months after the D-day landings, the RAF began to shrink as the need for fighters and heavy bomber began to lessen. The closing stages of the war were near and the fight was well and truly over German soil. The Fleet Air Arm (FAA) however were still expanding, preparing for what was going to be the invasion of Japan. To this end they needed more airfields to train pilots and crews to meet this demand. 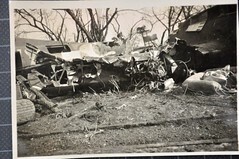 The Air Ministry considered giving the FAA Macmerry airfield to use, primarily as a repair yard, but, and whilst the offer was accepted, it was never actually put into practice. The FAA also considered stationing No. 770 Sqn FAA here, a Fleet Requirements Unit, whose role was to provide target tugs, simulated attacks on vessels and other gunnery roles. This too however, never actually came to fruition, and whilst the FAA had renamed the airfield H.M.S. Nighthawk II in preparation (Drem being re-designated H.M.S. 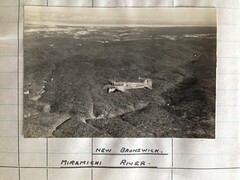 Nighthawk) they handed Macmerry back to the RAF on March 15th 1946 without ever actually placing a man through its gates. With the war over for the second time, the RAF had no further use for Macmerry, and it was closed down very soon after. With the airfield abandoned, the Edinburgh Flying Club seized the opportunity to get back into Macmerry, and on August 31st 1946, they reopened the airfield and began to operate from its runways again. They continued to operate here until 1953 when flying finally ceased and Macmerry closed its gates for the last and final time. After this the site was sold off, the main A1 was eventually built and then later extended into a dual carriageway. As a result of the new road the airfield was split, and the active side developed as farm land. There are suggestions that additional hardstands were provided on the perimeter track on this side, but any sign of these seem to have gone along with the flying side of the airfield. In addition to this, the hangars on the northern side have also been removed and replaced by a rather large grain store. The accommodation and technical sites were then turned into a small industrial park, the land adjacent to this, being returned to farm land. It is on this land that many of the accommodation buildings have been retained being put to use by the farm to house farm machinery and produce. The WAAF site buildings were demolished but the squash courts and gym both remain today. The squash court at Macmerry. The road from the A1 circumnavigates the entire site and it is from this road that the best views can be obtained. From the main A1, the first stop is at the two revetments, which remain sandwiched in between this side road and the main A1. Hidden from view of the A1, they are discernible from the side road and are in remarkably good condition for their age. 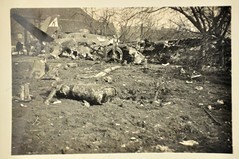 In a small triangular section of ground, there are several structures here, including the aircraft pens and crew blocks. The industrial site visible just off to the left of this road is what was the main technical area of the airfield. The modern warehouses and industrial units having replaced the technical buildings that were once thriving RAF workshops. Continue on and take a left turn. This takes you past the former accommodation sites and the location of the majority of surviving buildings today; long halls with their chimneys which were once the centre of life at Macmerry. Following this road to the left then takes you past the Gym and Squash Courts, passed the accommodation area and back to the A1 and away from the airfield. The former airfield RAF Macmerry went through a number of changes during its life, and although it has a history dating back to the First World War, it is one of those airfields that never really seemed to establish itself as a front line airfield. The number of squadrons who passed through here also brought a range of aircraft types, giving Macmerry a varied and interesting mix of models. That said, Macmerry had a dark side to it, and had the invasion of Britain come through Scotland’s borders, then Macmerry would no doubt be a name at the forefront of Britain’s history books today. *1 Timetable courtesy of Bjorn Larsson via Airline Timetable Images Website. *2 Phipp, M., ‘Wessex Aviation History‘, Amberley Publishing 2009, e-book accessed 24/4/18. 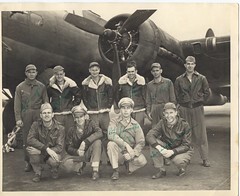 *3 AIR 27/2122 National Archives. 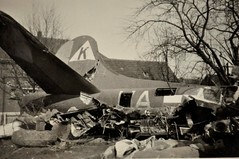 The East Lothian at War website gallery has a number of photos taken at RAF Macmerry during the war and is worth a visit.